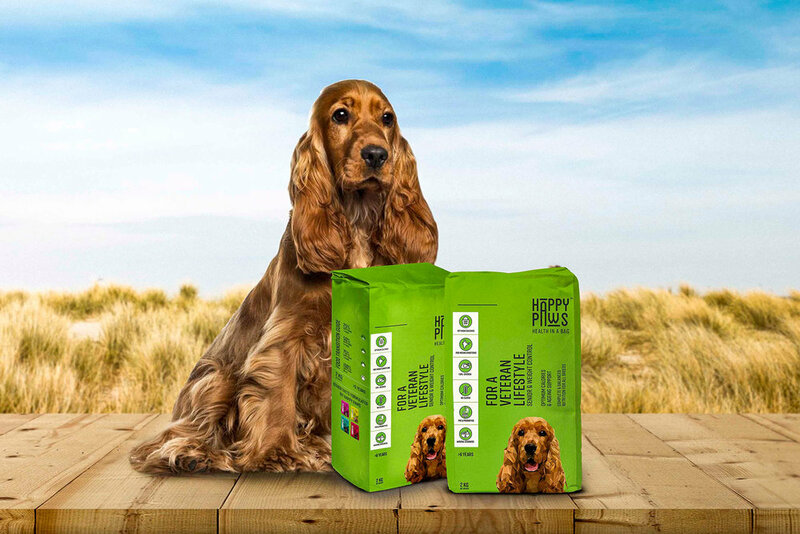 This pet food packaging comes with a bright and bold look. Stratedgy designed the packaging for Happy Paws, a new all-natural pet food brand that wants to stand out amongst the shelves. Happy Paws - Food for our canine friends, and a riot of colours for the dog food shelf. 1. 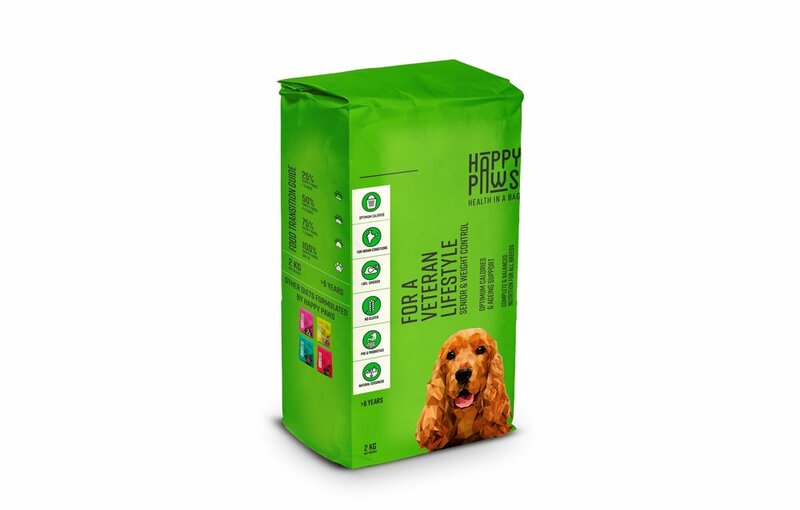 Identity Creation - Happy Paws is an all-natural food brand made for our canine companions. The creators pride themselves on being dog-lovers who know the wants and needs of dogs better than anyone else. 2. Colour Story - Being a new brand in an old market, Happy Paws wished to differentiate themselves from the crowd and in accordance, we have used a unique design language for this space. 3. Icon Creation - The packaging subverts the norms of dog-food imagery, using low-poly illustrations and easily understandable icons instead of photographs. The language used is conversational and brief but caring, while each variant uses a different bold colour so as to be easily recognisable. 4. Illustration Creation - The packaging is designed to stand out on a market shelf and uses short, descriptive copy to educate the buyer in short time.